Formed in 1979 from the ashes of the legendary San Francisco Punk band Negative Trend after the departure of their then-singer, Rik L Rik, the sometimes instrumental/always intriguing Toiling Midgets have been sporadically releasing consistently great music ever since. With founding member/guitarist Craig Gray and long-serving six-stringer Paul Hood leading the charge, the group's ever-fluctuating lineup has seen Joe Goldring (Swans/American Music Club), Erich Werner (The Blackouts), Annie Ungar (Gun Club), Tim Mooney (Negative Trend/The Sleepers/American Music Club), Aaron Gregory (Maggots), Joanna Hood (Loma Mar Quartet /Paul McCartney), Mark Eitzel (American Music Club) and many others flow in and out over the course of nearly 40 years. Without question, one of the group’s most memorable contributors was the shadowy figure known as Ricky Williams (1956-1992). Ricky would show up at our early gigs, usually at the Sound of Music, begging to sing. We would relent and then watch as he slid down the mic stand and crumpled to the floor in slow motion over two or three songs. By the time the set ended, Ricky would be lying on the stage or floor moaning, growling and muttering. Paul asked him to come in and sing when we were recording demos in '81 that would become Sea Of Unrest. He came with his demons, who must have been dancing around while he was in the room recording; he was pointing and talking to someone. They served him well and brought him down. He once stayed at my house for a week. He stripped my baby pot plants of all their leaves and tried to smoke them. One night, he and my 16-year-old brother went out. My brother showed up alone two days later with four deep scratches around half his neck. Ricky had done them. I never found out what happened – except bikers were involved. Most of the time, Ricky had a nurse or keeper. Most of the time when he was with the Midgets, he had a ‘girlfriend.’ It was when he didn't that he was most at risk. He would go anywhere with anybody and take anything. In the end, this killed him. At the time Ricky died, we were working on a new record. We had played our first gig with him since 1983, and there was more to come. Ricky was rediscovering his voice. What we could have done together I'll never know; sycophants made sure of that. We lost a lot when we lost Ricky. Over the past few years, Gray has been painstakingly preserving and reinvigorating the band’s legacy through an ongoing series of digital and/or vinyl releases that mine a deep well of classic and previously unreleased material. From demos to live recordings, the band’s ever-growing Bandcamp page offers hours of Toiling Midgets history and showcases everything that made them an adventurous – and overlooked – sonic machine. 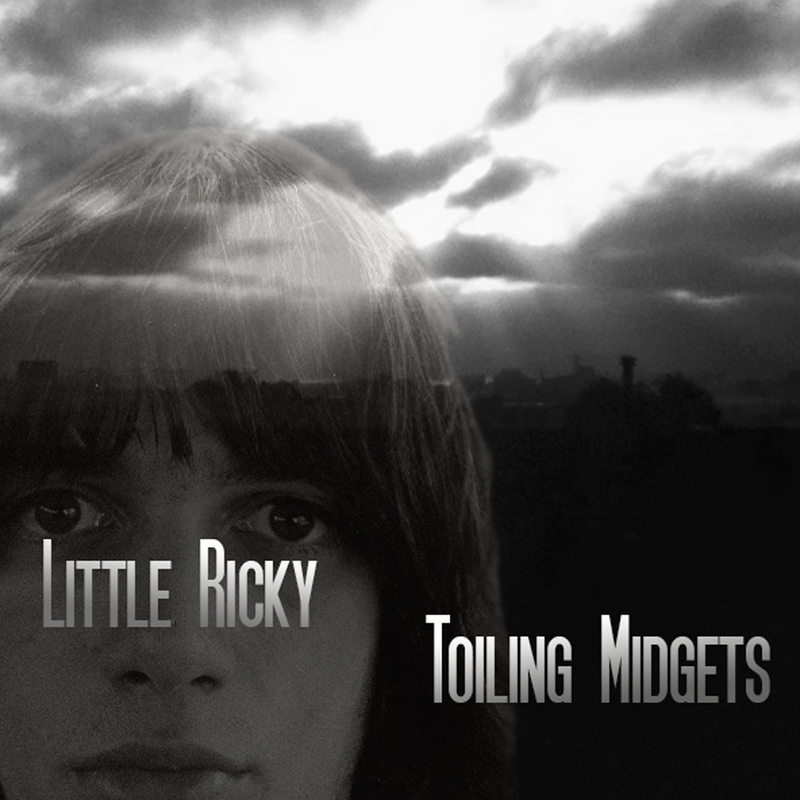 The most recent Toiling Midgets release, Little Ricky, is an eight-song collection of songs recorded with Williams in 1990 upon his return to the band after nearly a decade away. The band’s lineup at the time of the sessions was comprised of Gray on guitar and piano, Williams on vocals and “beer can percussion,” Hood on guitar, Goldring on bass and 12-string guitar and Tom Mallon on drums. The recording also features viola courtesy of Mary Redfield (of the excellent San Francisco bade Wade) and Joanna Hood. Tim was on tour with AMC, supposedly on loan. We had a gig on Halloween. Tom, Joe and I came up with the idea of getting Ricky and Mary from Wade involved. We rehearsed at Mallon’s studio set up in the control room so it was easy to record the tracks. The songs themselves were a mix of old and new; we didn’t really have time to write a set. At the gig, we did 'Trauma Girl,' 'Hide Your Love Away' and 'Sea of Unrest' (with Paul doing the other vocal) as well. The music was all done live except 'The DJ Is Wrong.' Ricky came in later to do the main vocals and, as usual, he was singing to something – this time, the little refrigerator Tom had at the studio. Although Williams would live another two years after these sessions were completed, the entire release eerily feels like the bittersweet curtain call it ultimately became for him. “Opus” beings with mournful guitar and strings before the singer’s trademark soulful moan comes in and reiterates the tone of the proceedings. An even darker mood permeates “Pumice” (which grows in morose intensity over two and half minutes), while the vibe gets even lower on the feedback-drenched “The DJ Is Wrong.” On a brighter note, “Train Song” could have been a college radio hit – a rare moment that finds the Midgets approaching genuine Alt-Pop territory. Truly gorgeous strings take center stage on “Big Surprise” and “The Vampire Is Wrong,” while Williams’ guttural snarl on “Why” fuels perhaps the song on Little Ricky that would fit most comfortably within The Sleepers’ criminally small catalog. Mallon, whose many talents behind a drum kit remain an underrated treasure, adds a sterling sense of tension and drama to “Splendid Penguin.” The playing on Little Ricky is pristine throughout, giving Williams the musical anchor needed to unleash his mind and voice in the usual fascinating ways. While there will always be a sense of loss and unachieved success surrounding Toiling Midgets (especially with Williams, Mallon, Gregory, Mooney and Unger no longer with us), they will forever stand as one of America’s most perfect and challenging outfits – and Little Ricky is a fitting and long-overdue epitaph for an irreplaceable character and artist who continues to spellbind a quarter-century after his death.